Whether you’re a social media superstar or a company touting your social savvy, it’s all about the brand. The social media platforms’ brands, that is. Are you brand compliant? 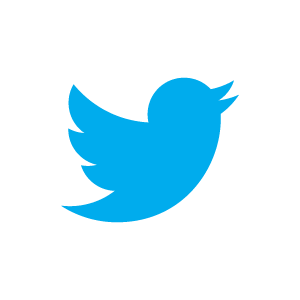 In July, Twitter switched its iconic identity from its well-known “t” logo to the bird. I still see “t’s” dotting the digital landscape everywhere I go. Facebook prefers the “f” logo and generally does not allow use of the full Facebook logo. Google+ offers a configuration tool for use of its logo online, but does not approve of the use of its +1 icon in online ads. Pinterest offers use of both its full name and “p” logos and gives examples of successful brands utilizing its platform. The LinkedIn name (not logo) should always be accompanied by the ® or ™ symbol, and its logo should always be used in color for online use (and offline, if practical). Remember, you can still get social while being brand compliant! Are you using outdated branding guidelines to promote your social media usage? Have you never even given social media branding a second thought? I’d love to hear your take on this topic along with any other suggestions you have to shine on the social media stage. While you’re at it, connect with me! Below are links to my presences on these social networks. I’d love to hear from you via these networks or in the comments below. You definitely put a brand new spin on a topic which has been discussed for ages. Thanks, Aracelis! Appreciate your kind words. Thanks for stopping by and reading; we hope you’ll come back again. Social media is an ever-evolving subject, so we’re always trying to share the latest news and features. Thank you! We appreciate it. What’s your site? We’d love to check it out.